Shirley Temple Dies; Childhood Movie Star Became Diplomat : The Two-Way Her singing and dancing in movies charmed millions during the Great Depression, when she was the top box-office draw. 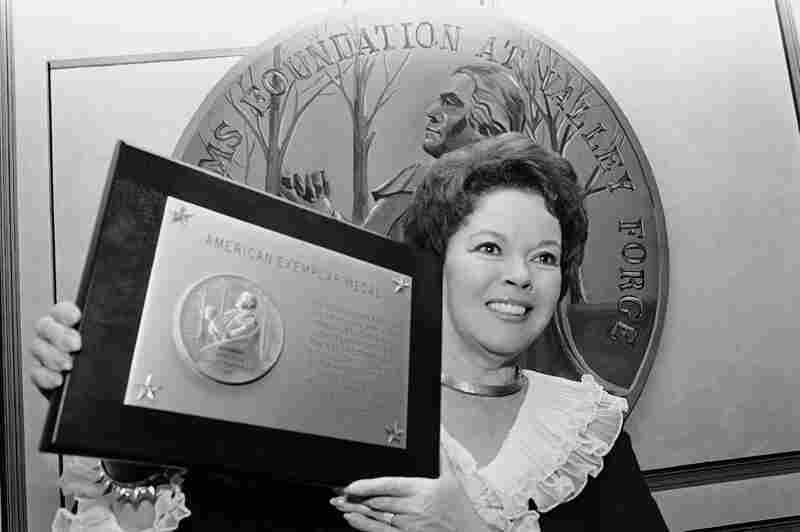 After leaving show business, Temple (known in her private life as Shirley Temple Black) was an ambassador. She represented the nation at the U.N. and in Prague during the Cold War. Bill Robinson, as the butler, teaches Shirley Temple his world-famous stair dance in a scene from The Little Colonel in 1935. 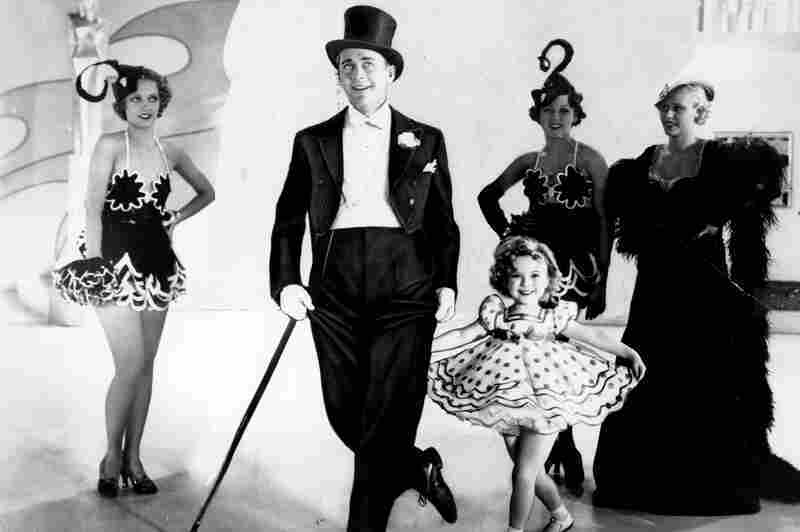 Temple curtsies in a promotional photo for the musical Stand Up and Cheer with James Dunn in 1934. Temple with Eddie Collins and Gale Sondergaard from a scene of the 1940 movie The Blue Bird. 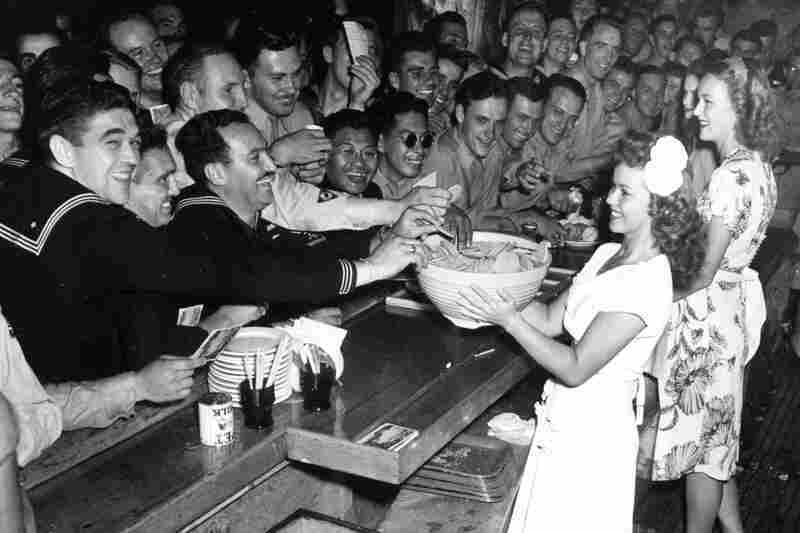 Temple, a USO volunteer, holds a bowl of cookies for servicemen at the Hollywood Canteen in 1944. 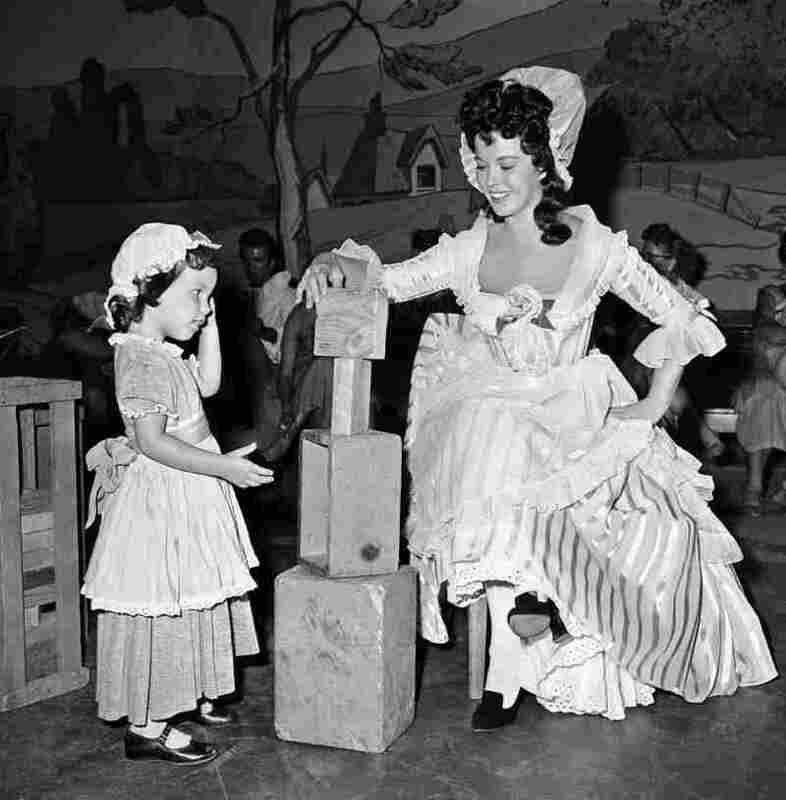 Temple and her daughter Lori prepare for a scene on the television program Shirley Temple's Storybook in 1958. 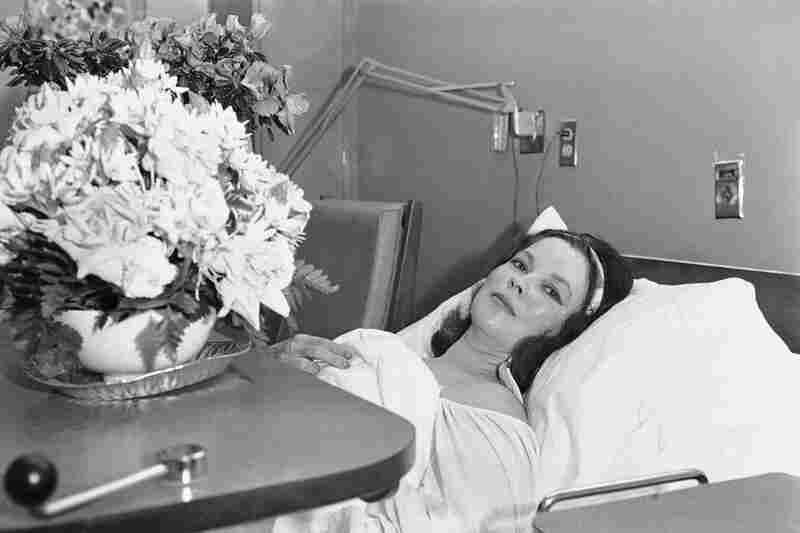 Temple in her room at Stanford University Medical Center in Palo Alto, Calif., after she underwent surgery for breast cancer in 1972. 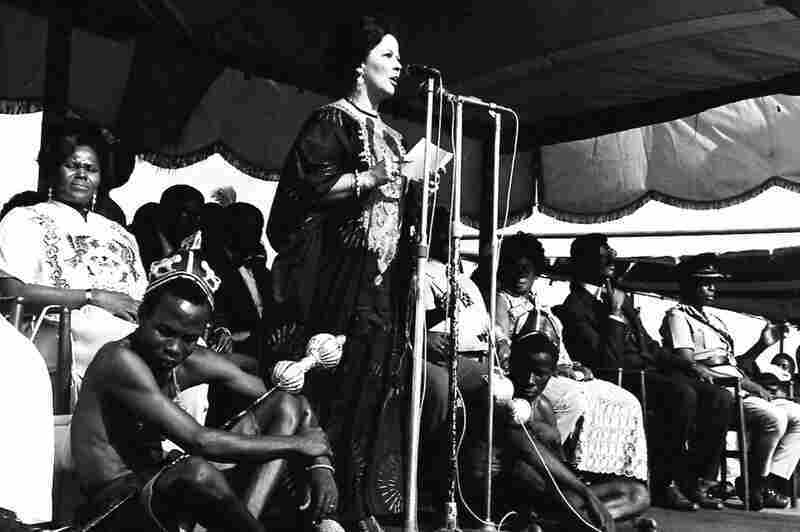 Temple addresses a gathering at the Fetu Festival at Cape Coast, Ghana, in 1975. She served as the ambassador to Ghana from 1974 to 1976. Temple receives an award for public service and patriotism presented by the Freedoms Foundation in Philadelphia in 1980. 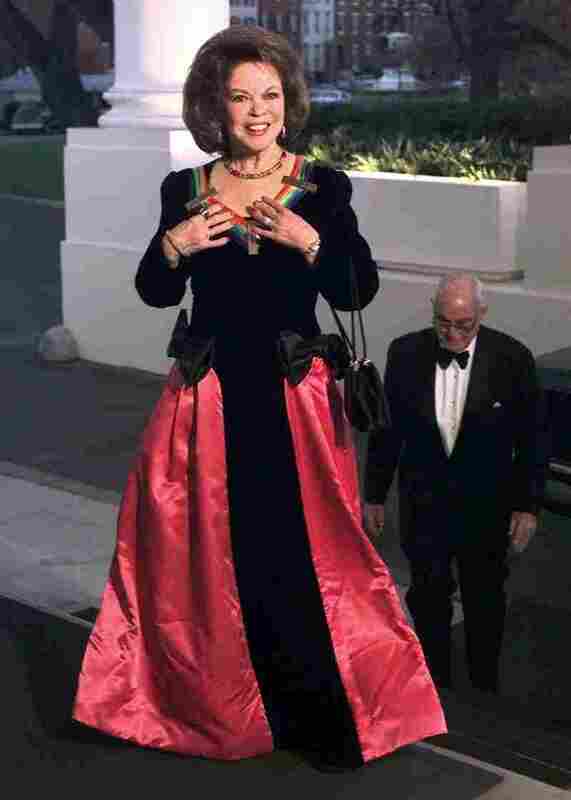 Temple arrives at the White House in 1998. She was among those receiving Kennedy Center honors, in her case for lifetime achievement in the arts. 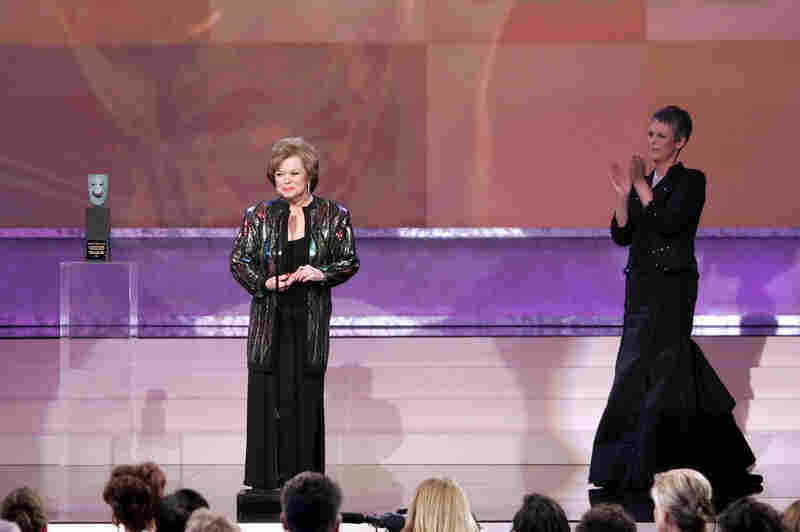 Temple accepts the Screen Actors Guild annual life achievement award in 2006 as presenter Jamie Lee Curtis applauds. "We salute her for a life of remarkable achievements as an actor, as a diplomat, and most importantly as our beloved mother, grandmother, great-grandmother, and adored wife for fifty-five years of the late and much missed Charles Alden Black." On Morning Edition, NPR's Alison Bryce's report begins by calling Temple "the most famous childhood star of all times." It recalls a 1985 conversation Temple had with NPR in which the actress says she "loved learning to dance and sing. ... Children don't have a lot of memories and so you're like a blotter — everything you learn very quickly — and for me, since I didn't have much in my head, I was able to learn everything relatively easily." "The actress found fame as a young girl in the 1930s in films like Bright Eyes, Stand Up and Cheer and Curly Top. "After retiring from films in 1950 at the age of 21, Temple returned to the public eye as a Republican candidate for Congress and as a U.S. diplomat." She was, the AP adds, "a talented and ultra-adorable entertainer ... [and] America's top box-office draw from 1935 to 1938, a record no other child star has come near. She beat out such grown-ups as Clark Gable, Bing Crosby, Robert Taylor, Gary Cooper and Joan Crawford. In 1999, the American Film Institute ranking of the top 50 screen legends ranked Temple at No. 18 among the 25 actresses. 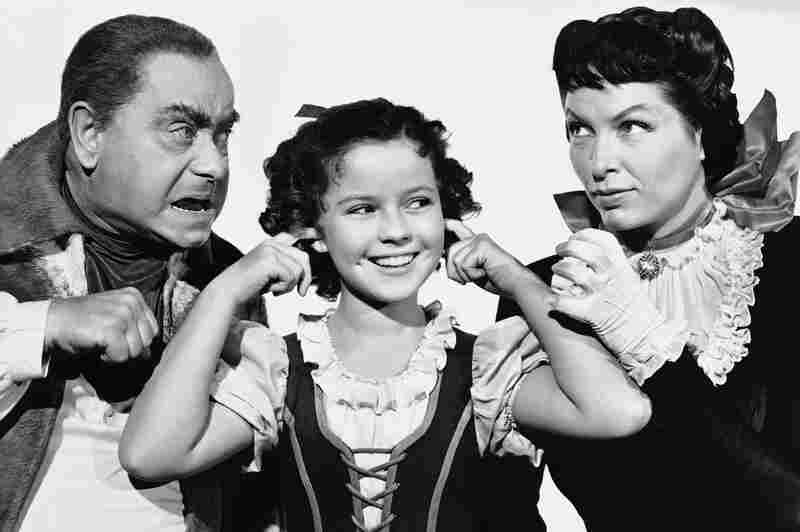 She appeared in scores of movies and kept children singing 'On the Good Ship Lollipop' for generations." "Making $1,250 a week at age 6, the incandescent Temple was a veteran of 46 features and one-reelers before she turned 13. A huge star in a pint-sized package, she received an average of 16,000 letters a month, and for one birthday, fans sent her 167,000 presents." She will also be remembered for a drink designed to supposedly make children look grown-up. During her diplomatic career, Temple once told NPR's Scott Simon, everywhere she went people couldn't resist serving her a "Shirley Temple" — a nonalcoholic cocktail of 7-Up, grenadine syrup, orange juice and a maraschino cherry. "Yes, well, those were created in the 1930s by the Brown Derby Restaurant in Hollywood, and I had nothing to do with it," she told Scott.